With the legislative session winding to a close tomorrow, what have we learned? Mostly, we've learned that this ship has no captain. The Gret Stet faced serious circumstances entering this session with a $1.6 billion deficit. Some would even call it a budget "crisis." And yet, what did we get from the top? The Governor wagered heavily on several key initiatives and lost on nearly every one. 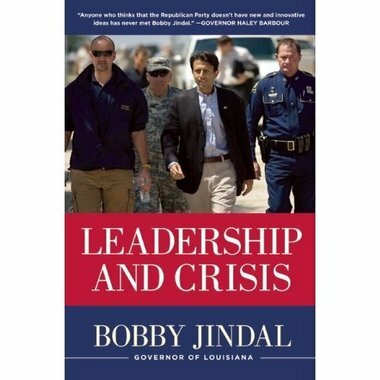 With a Republican House and a Majority Republican Senate, Jindal's maneuvering simply yielded zero results on his signature items. Of course, It didn't help that Jindal's legislative bag of tricks contained several "bold" proposals to balance the budget with one-time monies and privatization. These ideas were half-baked, and short-sighted. Treasurer Kennedy was right to call these the refuges of a junkie. Jindal meekly suggested simplistic band-aids to gushing wounds as if they were grand strategic visions. And the legislature largely ignored his desperate attempts to avoid raising taxes or doing any real government reform. Fortunately for the Governor, his backdoor lobby to maintain spending worked in the more moderate Senate.Still, the legislature often worked in spite of Jindal, not on behalf of him. As the legislative session enters its final hours, a thorough assessment of its accomplishments should only take a few minutes. In the spirit of the state Constitution, lawmakers in this odd-numbered year did little more than balance a budget, though not for a lack of trying to do more. Seldom has the Capitol seen as much spirited debate, clever stratagems, emotional pleas and hard feelings resulting in so few substantive bills, or trivial ones, passed into law. The budget gives Gov. Bobby Jindal much of what he wanted funded — but not in the fashion he proposed to pay for it. Lawmakers stripped out dollars Jindal wanted from prison sales and a retirement increase on state employees. Neither item received final passage, so senators instead used federal funds and other one-time dollars to plug the gap. "There's no smoke and mirrors, that sort of stuff. It is an honest-to-God balanced budget as it stands today," said Rep. John Bel Edwards, D-Amite, a Democratic leader in the House. For the first time in decades, it contains no legislative earmarks, according to lawmakers. Federal stimulus dollars that had propped up agencies this year fall out of the budget next year. To make the plans work, lawmakers raided two-thirds of an economic development fund used to attract large manufacturing facilities to Louisiana, taking about $82 million despite complaints from Economic Development Secretary Stephen Moret that the move could take the state out of competition for more than a dozen projects. The economic development dollars will be returned if lawmakers and voters in the fall election approve a proposed constitutional amendment that dedicates a stream of tobacco settlement money to a college tuition program. So in the end, Jindal was a doormat. As he begged and pleaded and cajoled and vetoed, he ground the legislature to a halt. But Governors shouldn't be reduced to obstructionist-in-chief. Not when they have majorities in both Houses. What we have here is a simple lack of leadership during crisis. Ironic coming from a man who wrote a book on the subject. What type of leadership do you feel Governor Jindal displayed this legislative session?